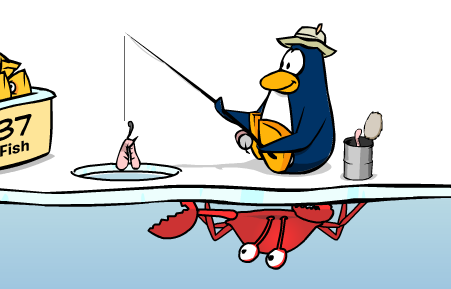 Ice Fishing is one of the best ways to earn coins on Club Penguin. However, you will need a lot of patience to catch fish. This is a fairly easy game but feel free to check out my guide below. First Step: Open your map and click on the "Ski Village" icon. 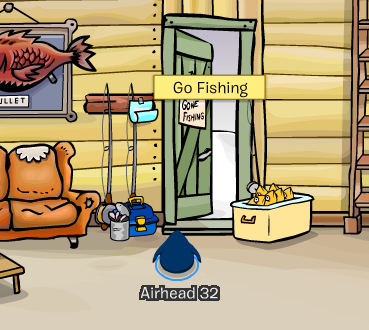 Second Step: Go through the door that has the "Gone Fishing" sign on it. 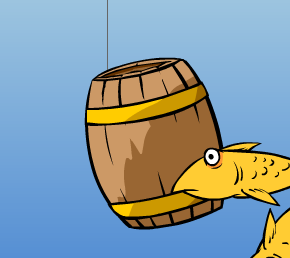 Third Step: Click the start button to begin fishing! 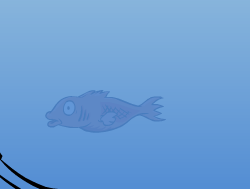 - Move the fishing line up and down by using your mouse. - Wait for a fish to come near your fishing line. If you have a worm on your line then a fish will surely take a bite. 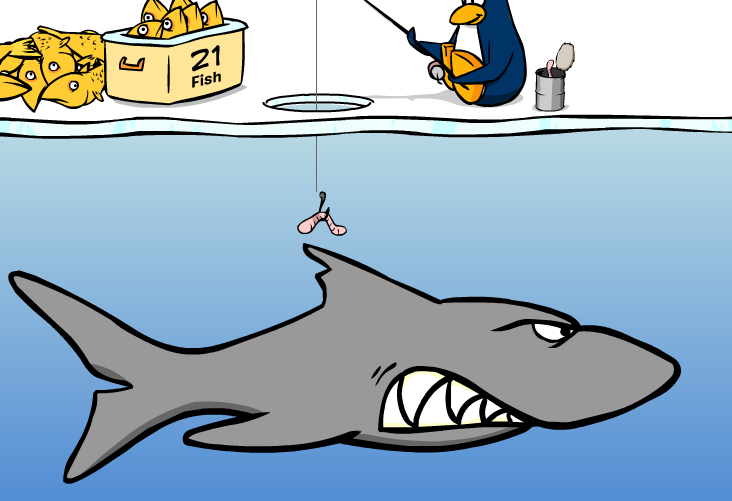 - Pull your fishing line up and click to put your newly caught fish in your box. - Watch out for any obstacles that might get in your way. The fish on your hook will escape if it gets touched by an obstacle. 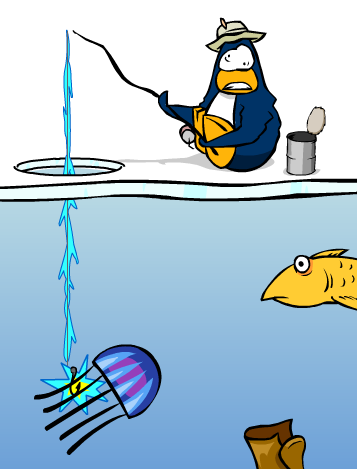 - Touching a Jellyfish will cause your fish to escape and your penguin to be electrocuted. 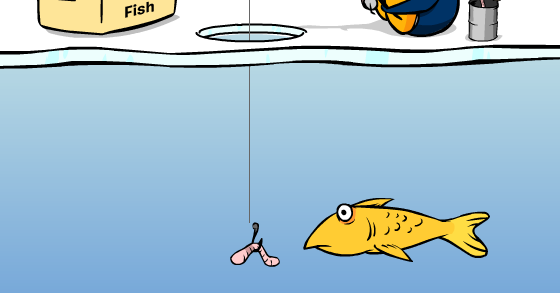 - If you lose your worm, pull your line up and click to get a new worm on your fishing line. - Sharks will bite your fishing line so watch out. - Beware of the crabs. They will cut your fishing line. 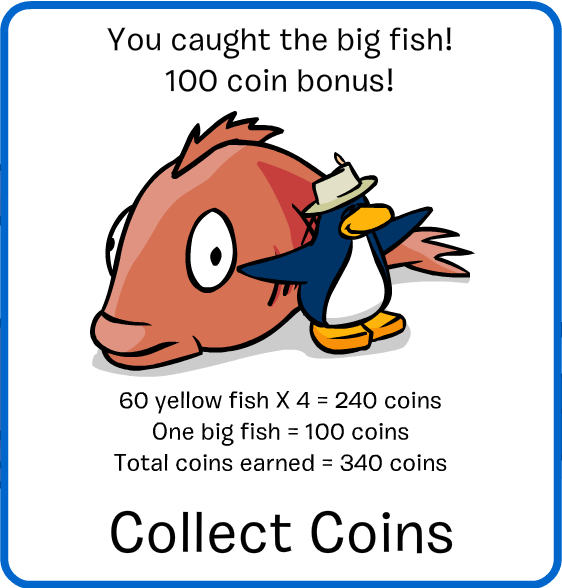 - The game will end once you reach 60 fish. - To catch the mullet you're going to need one fish to feed it. Catch a fish and keep it on your fishing line. - You will know when the Mullet is coming when you see it swimming in the background. - Hold your fish in the middle of the screen and the Mullet will come and eat it. You have caught the Mullet! - You will receive a stamp if this is the first time you catch the Mullet. At the very end of the game your score will be shown along with how much coins you've earned. The Mullet counts as one hundred coins. 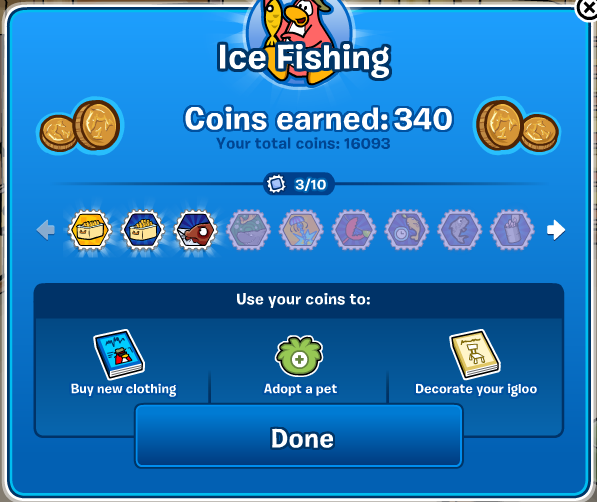 Click "Collect Coins" to exit and once again you will be shown how much coins you've earned but this time it will show any stamps that you've collected. I wanted this guide to be helpful and I hope it was. 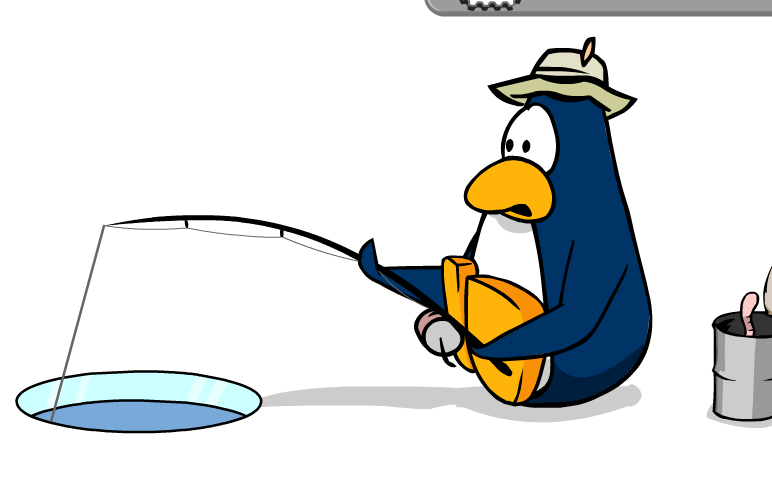 The Club Penguin Ice Fishing game is one of my favorite games on the Club Penguin island. Thanks for reading.